Yep, you’ve been waiting for it. I know you have. 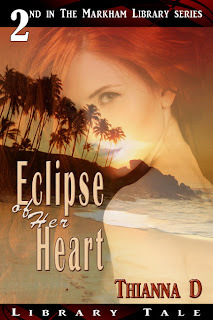 My newest library tale and second Markham Library novella has a title and a cover. 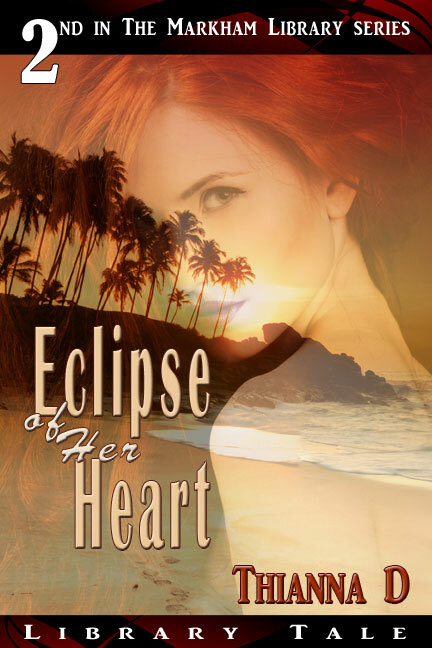 Seri and Joshuan’s story is called Eclipse of Her Heart. The Markham Library series is about a private library belonging to the Markham family. Within this library the heroine or hero of each novella/novel finds her or himself thrust into the storyline of one of the novels it contains. The first Markham Library novella, Through the Library Door, was released February 2013. Read Landria and Nicholas’s story. Congratulations, Thianna! Hope everything goes well with this new release. You are sure busy getting everything done. This cover looks great! I&#39;m looking forward to more in the Markham Library series!